Do you have a kiddo at home who can’t get enough of Chotta Bheem and the Gang? 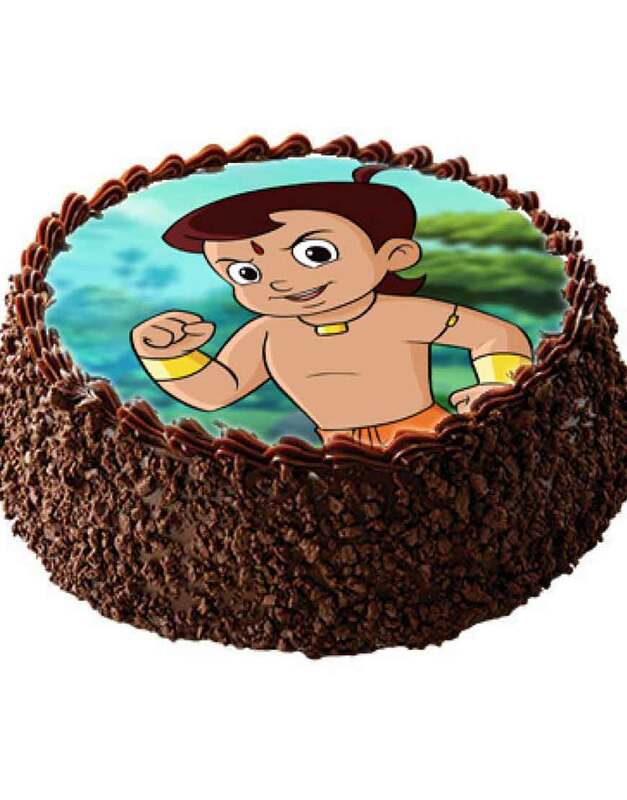 Then, this cake makes for the ideal birthday cake for the Bheem aficionado. A pretty round chocolate cake with an edible print of the tiny superhero, this cake is sure to bring a smile on everyone’s face. Make your kid’s dream come true and present this sweet surprise on his/her birthday. We’re sure your kid will love you to the moon and back when you gift this adorable cake. Choose from our wide range of unique birthday cakes and make every celebration special!